So it’s beginning to become that busy time of year again. How can it already be March? I mean seriously, this year has started going by way too quickly. But I’m honestly not going to complain, March means Spring and Spring means warmer weather. Warm weather means busy nights, which I don’t mind…we are just getting done with basketball season and next up this month starts dance and baseball. So this means quick and easy weeknight dinners. Thanks to Cooked Perfect Meatballs I have so many different quick and easy meal options at my fingertips! So when I first started cooking I had gotten this recipe book that was 101 Uses for Meatballs, so since getting that cookbook at least one bag of Cooked Perfect Meatballs always graced my freezer. They are the perfect addition to our weeknight dinners and come in a variety of different flavors, they make my cooking time just that much easier. 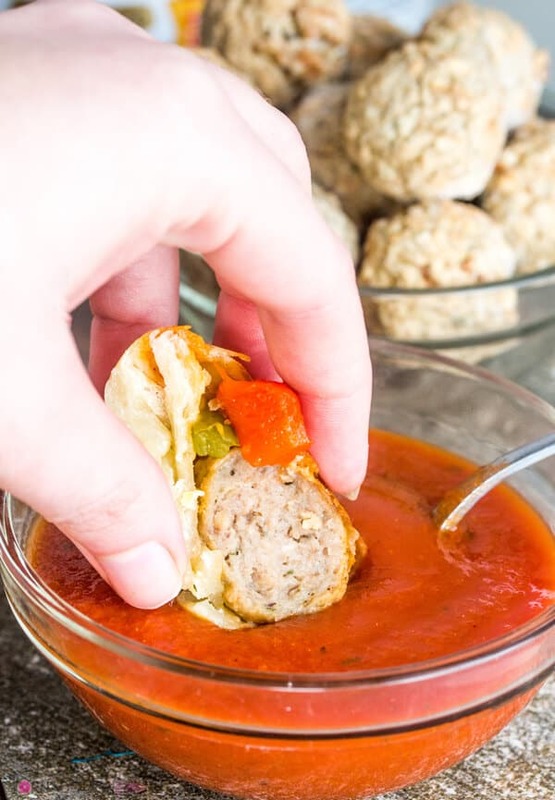 These Italian Meatball Sub Bombs are one of our favorite uses for Cooked Perfect Meatballs. Whipping up in literal minutes these take a twist on one of our favorite sandwiches but making them easier and less messy for little hands which comes in handy when we are cooking and eating in a hurry! We used the Italian Meatballs for these Bombs. 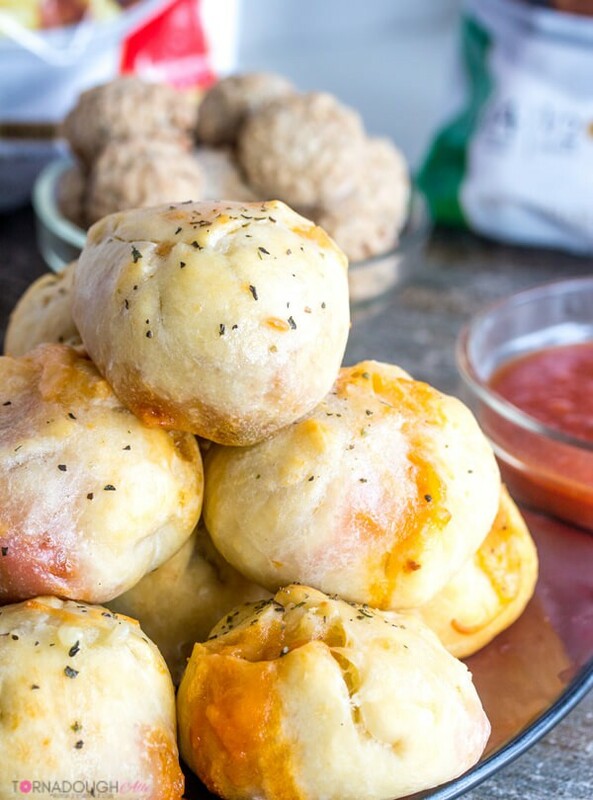 They are stuffed with sautéed onions, green peppers, roasted red peppers, marinara sauce and mozzarella cheese. They are then wrapped in pizza dough and baked until golden! Brush a little butter and Italian seasoning and you have yourself a deliciously simple weeknight meal. 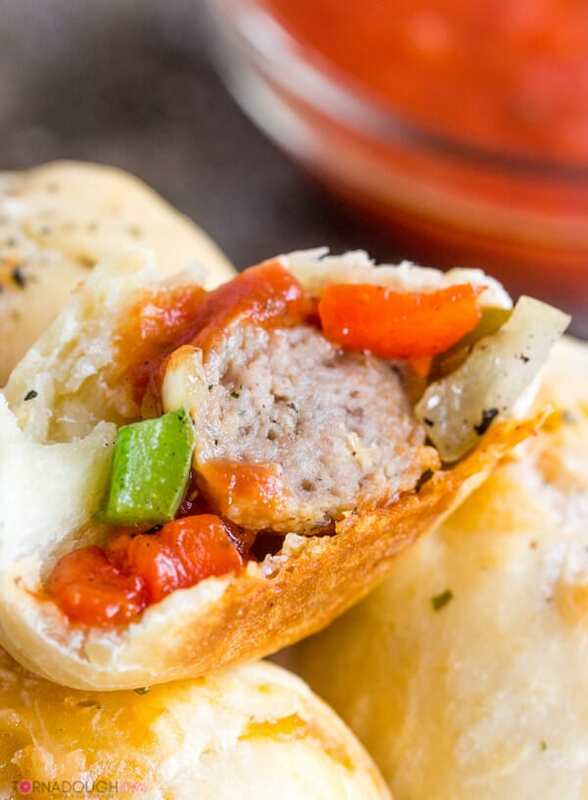 What makes these even better is that the meatballs are crafted for your senses using select meats, real cheeses, and savory herbs and spices then flame broiled to sear in the flavor. I mean seriously, these meatballs are so flavorful that we can’t get enough! 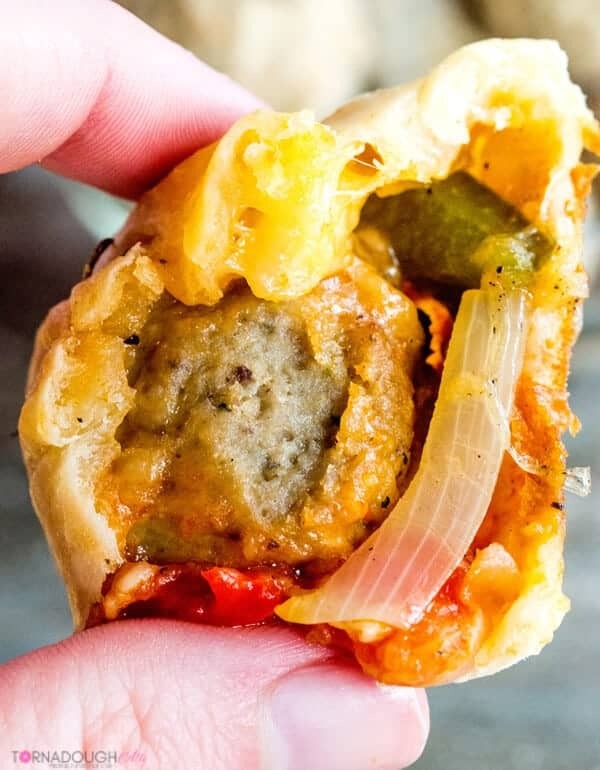 National Meatball Day is March 9th and these Cooked Perfect Meatballs are the perfect way to celebrate, especially making these delicious Italian Meatball Sub Bombs! 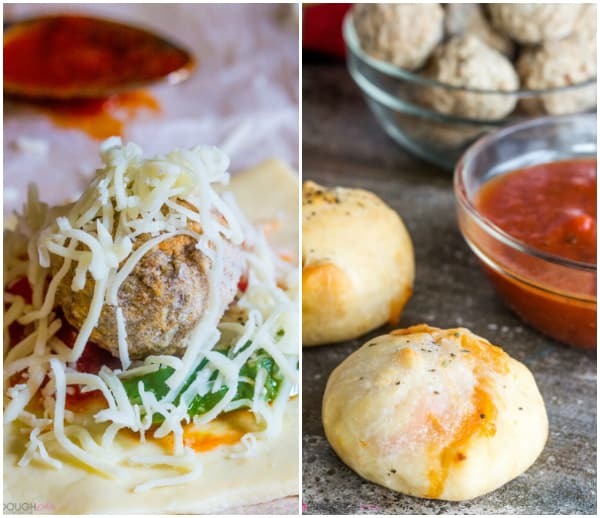 There are so many different things that you can make with these seriously tasty meatballs that these Bombs are only just the beginning! 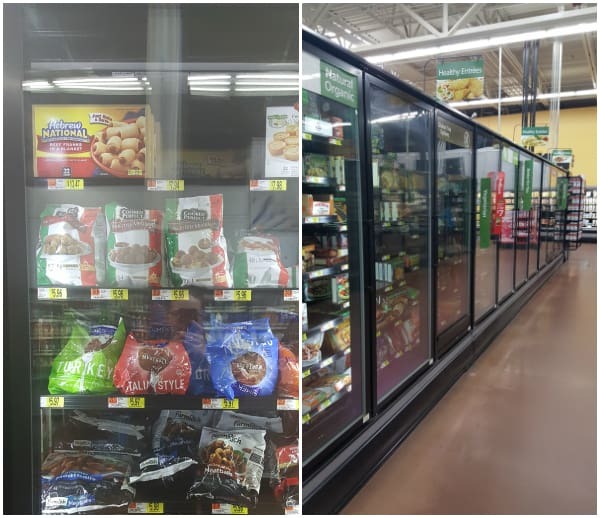 You can find your Cooked Perfect Meatballs in the freezer section at your local grocer! While you’re there pick up a few bags of their different variety of flavors and whip yourselves up some delicious quick and easy weeknight dinners! 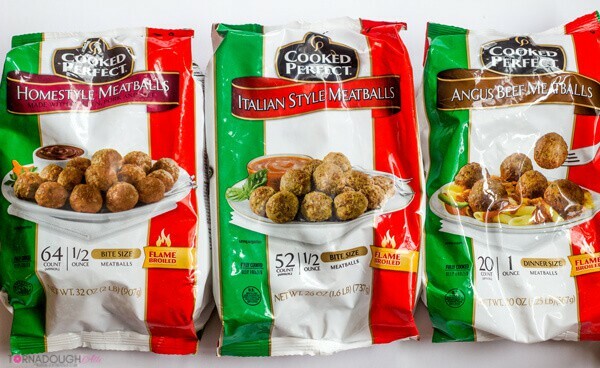 What will you be making this National Meatball Day using these Cooked Perfect Meatballs? Leave me a comment below with your amazing ideas! Make sure to follow Cooked Perfect on Facebook so you never miss a delicious update! In saute pan add your green peppers and onions with about 1 Tbs oil and heat on medium until tender, about 5 minutes. Unroll your pizza dough and slice into 12 squares, spoon about a tablespoon of your marinara sauce onto middle of dough. 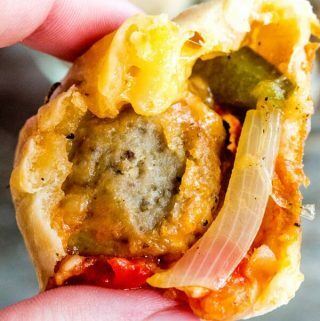 Place a little of your green peppers, onions and red peppers on top, then top with 1 meatball and about a tablespoon of your shredded cheese. Wrap up and seal edges into a ball and place on baking sheet. Bake for about 15-20 minutes or until crust is golden, immediately brush with butter and sprinkle with Italian seasoning. Serve with marinara sauce for dipping if desired. Yummy Such a delicious recipe….. I love your all recipes please keep posting.